Would you like your kids to actually hear you when you speak? Do you want to understand what they really mean? How about staying cool when things heat up? Connected Communication with Kids - 3 Keys to Authentic Interaction will show you how! The results are less stress, deeper connection and more time for fun as a family! 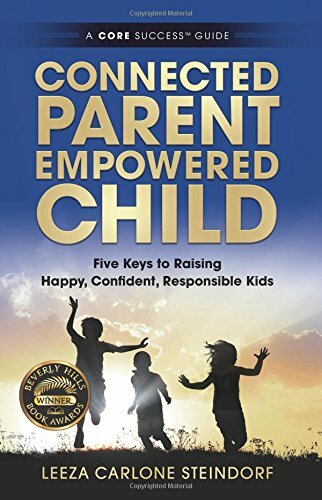 Leeza Carlone Steindorf is an accredited international Parenting Coach and Trainer, the award-winning author of Connected Parent, Empowered Child - Five Keys to Raising Happy, Confident, Responsible Kids, and a seasoned mom of two empowered kids.